LOM architecture and design have worked with HSBC’s global and regional teams to complete the interior design for the new HSBC Middle East headquarters building close to the Burj Khalifa in Dubai. 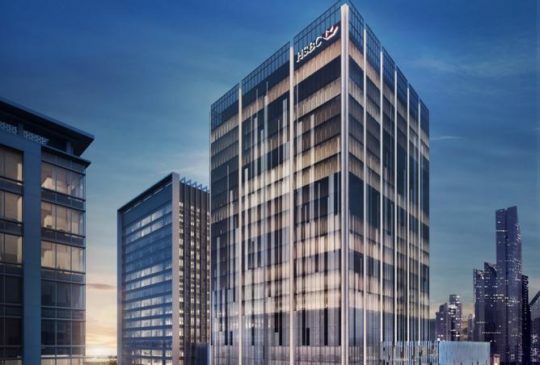 Base build design for the new 20 storey, 38,000sqm building was carried out by Broadway Malyan, with LOM completing the workplace strategy and fitout design for the new offices, which will create a landmark facility supporting HSBC’s continued growth across the Middle East region. Building on HSBC’s Global Workplace Standards developed by LOM, the workplace will combine a wide range of formal and informal work settings to create a modern and flexible environment. Interior fit-out is nearly complete, with HSBC due to start moving teams into the new building over the next few months.